On December 10, a woman was stabbed to death by her ex-boyfriend in the parking lot of Kissimmee’s Home Depot. The police are unsure of what led to the altercation. However, they know that once she was injured, the woman fled into the store where workers and customers provided aid and called for assistance. She later died at the hospital. Osceola County Deputies found the perpetrator a short time later and arrested him without incident. He is being held in jail without bond on charges of first degree murder. While he awaits trial on this criminal charge, he may also face civil consequences for his actions. The Florida woman’s family may have the right to file a wrongful death suit against him, and his guilt on this matter will have no relation to the outcome of the criminal case. 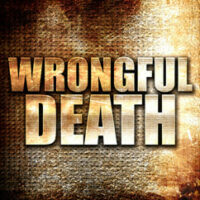 Florida Statutes Sections 768.16-768.26 constitute the Florida Wrongful Death Act. These laws control who can file a wrongful death act, when, and what they will be entitled to recover. Under section 768.19, an estate has the right to file a wrongful death claim when a person’s death was caused by a wrongful act, negligence, default, or breach of warranty or contract and this event would have entitled the victim to sue and recover damages as he or she lived. The law specifically states that the victim’s personal representative shall file the wrongful death action on behalf of the victim’s survivors. The personal representative is the executor named in the will, or if there is no will, a person named by the court. When a personal representative is appointed by the court, it might be a family member or an attorney. For more information on the damages you may seek within a wrongful death claim, contact an experienced Florida attorney. A lawyer can explain all of your options for recovery and calculate a fair amount. Without legal advice, you may ask for far fewer damages than you are entitled to. The victim’s siblings, blood relations or adopted. Unfortunately, because these damages are initially obtained by the victim’s personal representative, they had subject to creditors of the victim’s estate. Damages recovered through a wrongful death claim can be used to pay the victim’s debts off before the remaining damages are dispersed to the surviving family members. Additionally, the attorney’s fees and court expenses can be deducted from the awards of each survivor and the estate proportionally. If you lost a loved one in an accident or due to a violent act, call Salazar & Kelly Law Group, P.A. at 407-483-0500 immediately. Your family may want to look into filing a wrongful death claim, particularly when your loved one’s death caused significant financial distress. We will advise you on how Florida’s wrongful death law and whether a suit is a good idea for you and your family.